Yoga Basics with Marti offers simple yoga poses to build mindful awareness of your body and breath, release patterns of strain as well as build physical strength and mental focus. You'll also learn basic poses to help you create a regular practice of yoga as a way to feel more energy and ease. For Yoga Basics with Marti, you'll need a yoga mat and you might like to have some yoga blocks, a blanket and a bolster on hand, as well as a chair. Remember, if a pose doesn't feel comfortable, feel free to watch, and modify it as you need to. 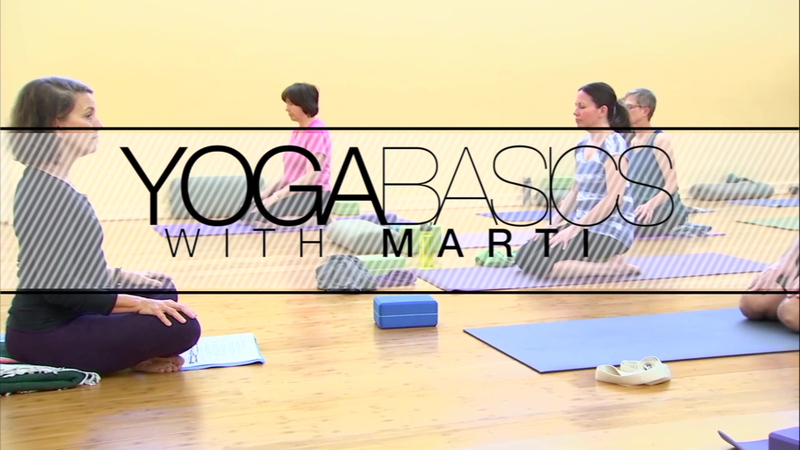 Join veteran yoga instructor Marti Yura, along with yoga teacher Caroline Dunham, in this second season of "Yoga Basics with Marti." You'll learn gentle yoga poses to build mindful awareness of your body and breath, release patterns of strain as well as build physical strength and mental focus. You'll also learn basic poses to help you create a regular practice of yoga as a way to feel more energy and ease. For Yoga Basics with Marti, you'll need a yoga mat, and, you might like to have some yoga blocks, a blanket and a bolster on hand, as well as a chair. Marti will also show you how to modify poses as needed.